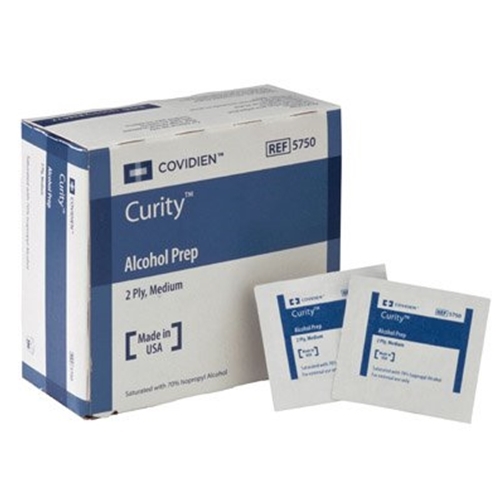 Curity Alcohol Prep Pads from HealthyKin.com are 2 ply non-woven sponge pads saturated with 70% isopropyl alcohol. Great price and so convenient to use. Just what I ordered. Received in just a 2 days! Definitely use this service again! GREAT PRICES ... AND QUICK DELIVERY!!!!! Very happy with the price, service and speediness of delivery! I have used this purchasing company and product for several years now. Good price and shipped out and arrived the same week. Good price and good service. That is all I need. Prompt delivery, Product as described.